Windy. Partly cloudy to cloudy with periods of sunshine. Highs in the high 70's's, Lows around 70. A cold front bringing clouds and winds early in the week made sight casting more difficult than the previous weeks. 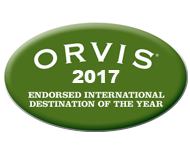 It was our pleasure to host the first Orvis Bonefish Bonanza of the year. Bonefish were caught in shallow water when conditions were good for sight casting, and the deeper bite in 2-4 feet of water kept the action going when it was cloudy or windy. 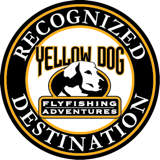 Mark, Doug, and Nick all took home angler award pins for landing the always tricky to catch permit on a fly rod. Tarpon were tougher to catch this week due to wind and clouds, but several anglers got the opportunity to hook and jump the Silver King. Snapper, jacks, barracuda, Spanish mackerel. 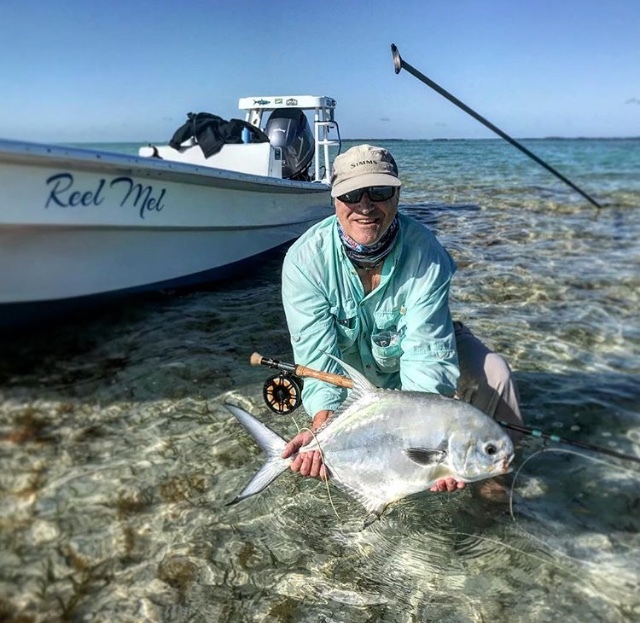 Mark and his first permit on Fly!